Crystal meth is an incredibly addicting and potent stimulant. It stimulates the central nervous system, energizing the body and also the mind in the process. Crystal meth comes in several forms including powder and pills. Users may inject it, smoke it or snorted it. The high from crystal meth occurs rapidly and it is very powerful. One of the attributes that makes crystal meth use so alluring for users is that the high last for a very long time. Whereas, a person who takes crack and cocaine may feel the effects for only 10 to 30 minutes an individual that takes crystal meth may feel the effects for hours. Because the drug is very cheap and less expensive than other drugs such as cocaine, individuals essentially get more ‘bang for their buck’ when they buy meth. What Leads to A Crystal Meth Addiction? Crystal meth is extremely addicting. Those persons that use it for long periods of time and then suddenly stop then begin to feel unbalanced. To avoid these feelings, they continue to use, often times heavily. Overtime, this can lead to a psychological addiction. 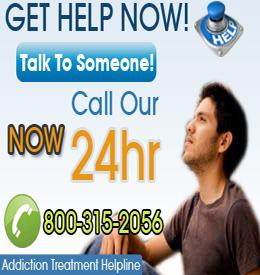 Such addictions are very powerful and can make it extremely difficult for persons to quit. Drug rehab will often times be necessary. Crystal meth addiction is well known for causing the rapid degeneration (physically and mentally) of those who take it. Individuals often experience drastic changes physically and become unable to take care of themselves and their families. Many meth addicts or users often act out violently. Overtime, persons may develop physical responses once they stop using the drug. It is vital that a person addicted to meth get help. A crystal methamphetamine addiction can lead to death if a person overdoses. It also ruins relationship and makes it nearly impossible for a person to take care of important responsibilities such as family and career. Individuals are also at risk for heart problems, psychosis, paranoia and violence.